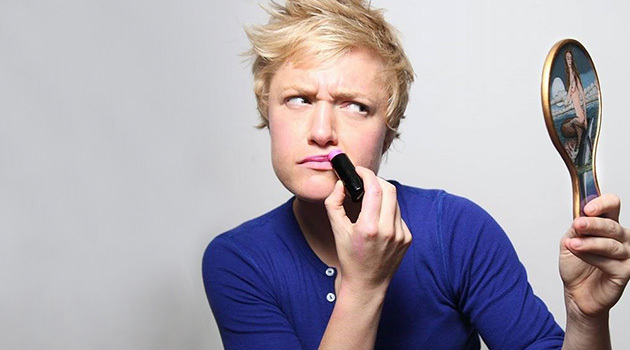 There are so many female comedians who are CRUSHING IT right now. And as a result, we here at GOLD ComedyTM are crushing on them. 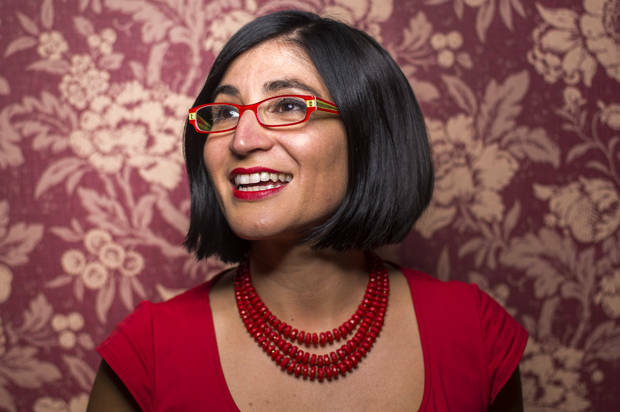 Comedy nerds and podcast junkies will know these women—and likely every word of their acts. But we want all of our GOLD readers to be able to say they knew about them before they were A-list household names. Now we just need to get them on the Forbes list of highest-paid comedians. Please just go read her Twitter. 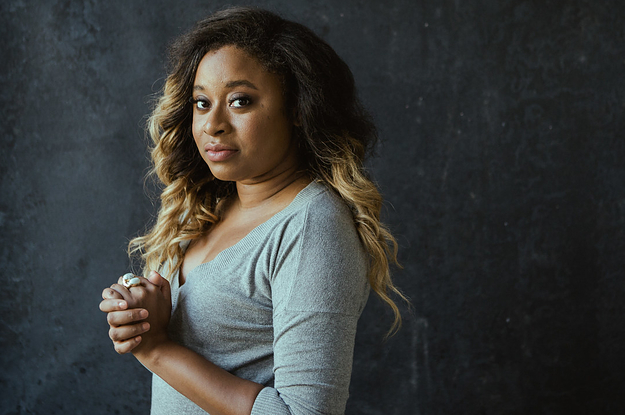 Variety named her one of the top comics to watch in 2016. She tours ALL THE DAMN TIME, so follow her. Her debut album Just Putting It Out There is hilarious and perfectly tackles all of our anxieties and discomforts. 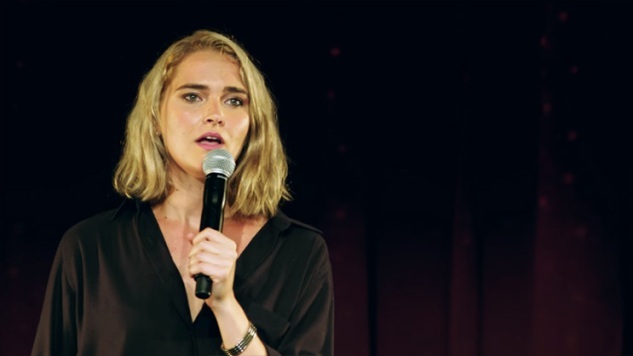 Between her Seeso series, constant touring, and her amazing support of other women in comedy, she’s sure to land a killer TV or movie deal any moment now. Or who knows, maybe she has and she’s keeping it secret. Using her awesome feminist powers, she has created a body of comedic work that not only acknowledges women’s sexuality, but encourages it. Her stand-up style is raunchy, delivery-heavy, and most of all fun to watch. She and Hutchinson are also scheduled to perform at the Just for Laughs Comedy Fest in Montreal this year! This radio darling has been making our ears laugh over the airwaves for a while now, but we think she’s got the charisma and the material for TV. Her own SiriusXM show The Check Spot is now a year old and we’re excited for her next steps. She just signed a sweet deal with comedic actor and Paul Blart-look alike Kevin James to star in a new CBS show, Kevin Can Wait. Her stand-up style oozes confidence and all of her performances are incredibly polished. Jen has a huge body of knockout comedic work. Not to mention her book “I Know What I’m Doing and Other Lies I Tell Myself” just came out in paperback in April of this year. She’s hitting her stride and we can’t wait to catch her on her “The ‘All New Material, Girl’ Tour” this year. She’s a total go-getter. Her hard work and poignant feminist critique shine through her act and we’re totally eating it up. Also, her original web series about an engaged serial killer was actually assigned to me as homework… so if she’s already invading our classrooms, she might as well invade our TVs! Her delightful FaceTime interview with GOLD Comedy students! Her sweet voice and quirky elfish persona is a perfect fit with all of the new fun-loving comedies coming out. She’s the creator and host of the hugely successful Punderdome 3000 show in Brooklyn alongside her goofy dad Fred and her TED Talk is also in the process of becoming a fan favorite. Kate’s style is unbelievably original. It’s thoughtful, meditative, philosophical, and simultaneously very fun. Her new Vimeo original series 555 is already getting attention from some very important eyes. In February, she and Early gave a meta-comedy performance on Jimmy Fallon that was lost on some of the audience. But us comedy geeks LOVED it. Several appearances on Scott Aukerman’s podcast Comedy Bang! Bang! If the rest of the women on this list are “on the cusp,” then Lauren might be the first in line for the slide. She’s already been crushing it on her own cheekily titled podcast, With Special Guest Lauren Lapkus. She’s also found success at her UCB Franklin show Wildhorses. In the comedy world, we sometimes refer to certain performers as a “comedian for comedians.” Megan Amram is definitely one of these people. Her wordplay and one-liners on Twitter are a true work of genius. Her absurdism style is super fresh and she’s killing it on the Trump stuff. 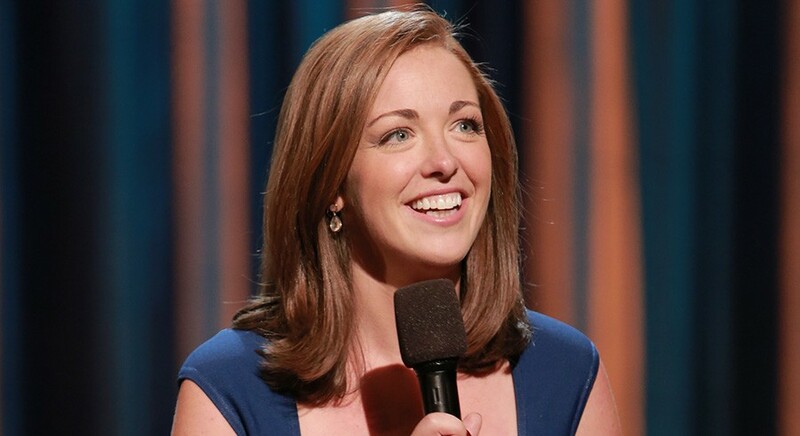 She brings new life to some classic jokes and her set/material have only grown edgier since her Conan appearance. Not to mention she’s been knocking it out of the park with her live shows. To give you an idea, I saw her open at a show in Nashville recently and she got way more laughs than the headliner. What more can I say? That voice. That hair. She’s to die for! 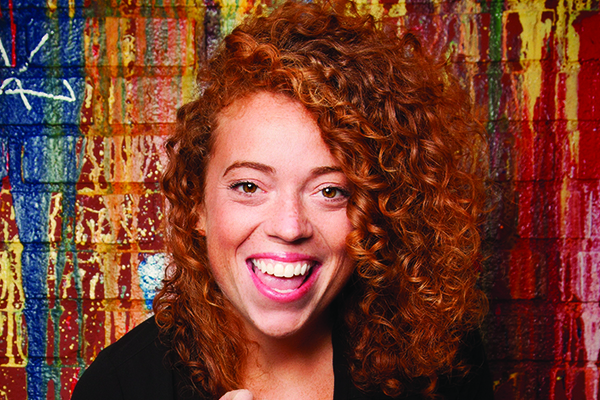 She was featured on Vulture’s list of “50 Comedians You Should Know in 2015” and her most recent tour for her debut hour-long special, MIchelle Wolf: So Brave, sold out across the country. Personally, I’m in love with her squeaky style and jump on tickets any time I see her name in the line-up. Her sassy style and high energy delivery is helping her KILL it in the New York standup scene. Plus Comedy Central’s been showing her plenty of love and I wouldn’t be surprised if they gave her a show of her own. As long as she doesn’t name the show after her brother-in-law. Besides being incredibly talented in writing, her stand-up style boasts a unique stately delivery and a keen sense of word choice. She’s been featured by a ton of stuff already and we’re excited for her and her husband’s new TruTV series, Inside Caucasia. Her comedy documentary The Muslims Are Coming! Her delightful FaceTime with GOLD Comedy students! A self-described social justice comedian, Negin has a stand-up routine that often revolves around her Muslim background. She uses humor to fight prejudice and bring understanding, especially in a contentious time in our country for Muslims. Her book How to Make White People Laugh has a permanent place on my coffee table and constantly makes me laugh on cue. Ophira tackles the tough stuff like advanced age motherhood, surviving cancer, and other topics most comedians wouldn’t touch with a 10 foot pole. She’s also got an unusually soothing voice so it’s no surprise that she’s frequently featured on the radio. AND her new Brooklyn show Ophira and Adira has already drawn big names like David Cross, Lewis Black, and Uzo Aduba. She’s been bringing some serious truths about gender, race, and equality to the comedy scene for a while now. Her new podcast with Broad City’s Ilana Glazer is called Sooo Many White Guys, and honestly, we’re sold on the title alone. Plus, she thought the ending to Colin Firth’s Kingsman was as weird as I did. Her self-deprecating style is endearing, effective, and impressive considering she’s only 23. She’s got a certain honesty about her performance style that is very refreshing. She’s a true inspiration to us young comics. Do you know any comics that you think will be huge soon? Tell us! Tweet @goldcmdy! Nothing says springtime like graduation! And nothing says graduation like long, cliché speeches about “following your dreams” and stale jokes about bad dining hall food. But we here at GOLD prefer a commencement speech with a bit more flair. So before “Regalia” makes it into this year’s list of top baby names, we wanted to share with you some of our favorite commencement speeches ever given by comedians. Sorry, Steve Wozniak. Maybe Rutgers will call next year. This list includes speeches given at a diverse group of schools including a few prestigious Ivy leagues, some southern gems, and even a high school in Lexington, Massachusetts (Lynn’s hometown. Also, Rachel Dratch’s!). So what do they all have in common? Every speech acknowledges that we comedians are never truly qualified to do anything, let alone give a solemn commencement address. Hell, I still have trouble remembering whether the word “address” has two D’s or one. They both look right to me. Hilarious, versatile, and fresh, Maya Rudolph never disappoints. She certainly didn’t disappoint during her 2015 speech to the seniors of Tulane University in New Orleans, LA. In her address, she covers her dreams of being on SNL, a roast-like description of herself as a hippie college student, and her identity crisis as a closeted thespian. This speech is particularly appealing to us comedy nerds as Rudolph invokes the crucial improv concept of “Yes, And.” Not to mention her passionate “interpretation” of the National Anthem. At the height of his show’s popularity, Daily Show host and comedy god Jon Stewart took a break from his busy schedule to give a gut-busting and rather cynical warning to William and Mary’s graduating class of 2004. Former compadre and counterpoint to Jon Stewart, Stephen Colbert is a top dog when it comes to political satire. Though Colbert has imparted much graduation wisdom over the years, no speech compares to his 2013 speech to the Hoos of UVA. Colbert cleverly muses on secret societies, the infamous Thomas Jefferson, and even his own marriage. Since giving this speech, Colbert has “graduated” himself, making the shift from his Comedy Central show to hosting primetime’s The Late Show on CBS, where he has recently found a new pastime in poking fun at President Trump. Former intern to Conan O’Brien, Mindy Kaling has been a dynamite actress and writer since bursting into the comedy spotlight as Kelly Kapoor on The Office. Since then, Kaling has found massive success with her own show The Mindy Project—and her address to the Class of 2014 from Harvard Law. Former boss of Mindy Kaling, Conan O’Brien has been a late-night staple since the early 90’s. Standing proud behind what he describes as a podium like something a bear would use at an AA meeting,” Conan brought his self-deprecating charm and good-natured quips to the graduating class of 2011 at Dartmouth. Mononym queen and daytime sweetheart Ellen Degeneres has been crushing the comedy scene for almost four decades. From her work on her own ‘90s sitcom to the more recent Finding Dory, Degeneres has found popularity across a huge variety of age groups and demographics. I can say with 100% certainty that my 62-year old mother is catching up on Ellen clips at this very moment. Her speech to the so-called 2009 “Katrina” class at Tulane is both funny and poignant, goofy and incredibly sincere. Degeneres tackles topics such as sexuality, tragedy, and fame. A USC grad, Will Ferrell had no business giving the commencement speech to the Harvard University class of 2003. And yet, here we are. As of 2017, Ferrell is both a comedic powerhouse AND a household name. And with all those houses, his upcoming 2017 flick co-starring Amy Poehler, “The House,” is sure to be a winner. These days, it seems like high school humor consists of nothing more than a few well-placed emojis, fleeting dance crazes, and more shareable memes than original jokes. But in 2009, Bob’s Burgers actor and human beanbag chair Eugene Mirman gave a hilarious five-minute speech to the 2009 graduating class of Lexington High School that perfectly incorporated teenage angst and youthful energy. The speech is one of the wittiest and most honest of the bunch. Harvard clearly has no shortage of comedic guests (or anything, for that matter.) Poehler’s speech to their 2011 graduating class was punchy and sharp. As of now, we’re looking forward to her new BBC show and apparent biographical series about my life, Zero Motivation. Did someone give a funny speech at YOUR graduation? Tell us about it! Sorry, but that excuse is made of NOPE. Comedians ARE shy. Why do you think they like to talk on stage, or wear giant funny mustaches? So they don’t have to talk TO PEOPLE. Carol Burnett, who describes herself as shy, has said she can perform only when she’s in character. Joan Rivers–yes, Joan Rivers—has described feeling uncomfortable chatting in real life, one on one. Anthropologists at the University of New Mexico studying the evolutionary value of humor found that professional comedians are very likely to fit the definition of introvert. Makes sense when you recall that if you’re a comic, the biggest slices of the pie chart of your life are probably being (alone) on the road and writing jokes. So being shy isn’t an excuse not to do comedy. Being shy is a reason to do comedy. Comedy is about being who you are. And if who you are is shy, then shy is part of your funny. Shy people may have more to say. 40% of teens and adults consider themselves shy. That’s a lot of people who will directly relate to your “I’m shy” material and persona. And not come up and tell you that afterwards! HA! A lot of comedy happens in your head. “I didn’t talk to anybody in school,” says New York comedian Carly Aquilino. “Maybe I started doing comedy because I talked to myself for a really long time.” Think of comedy like a funnel: the big top part is the observing and thinking you have to do, which you then narrow down, and then—only then—do you get on stage and tell people what you’ve been thinking. The capacity to hang back and observe and cogitate can only work in your favor. Shy people are super observant. If you tend toward introversion, you may excel at empathy and reflection—both essential for writing authentic jokes that truly land. That’s because you’re both self-aware and aware of others’ vibes, and you’re also able to learn from what worked and what didn’t. Shy people know how to listen. “Shy people are often gifted listeners,” write shyness experts Bernardo Carducci, Ph.D. and Philip G. Zimbardo. That means you’re more likely to be noticing what people say (or what they avoid saying) and how they say it—all of which is potential material. This also may mean that you’re good at listening to your audience—an essential skill for connecting to the vibe in the room and the only way to perfect your sense of timing. Outside your comfort zone lies comedy gold. Arguably, anyone who has more at stake and more to fight in order to get up on stage is going to have more of a raw, vulnerable comedy edge. And letting yourself be vulnerable is actually the bravest, most assertive—and funniest—thing you can do. Heard the one about how sitting still will kill you? The same is true of comedy. In comedy as in life, exercise is vital. Repetition, frequent workouts, even a little sweat: they will all keep your comedy healthy and your head in the game. Whether you want to do standup, become a comedy writer, or just be 30% funnier in general, comedy exercises are key for generating original ideas and finding the funny in them. They’re not just for noobs; pros do them too. (Jerry Seinfeld, famously, wrote something every single day.) But they are essential to getting started. Here, friends of GOLD and other skilled comedy coaches share their favorite exercises for getting yourself into comedy shape. Just please make sure to get up and walk around every 20 minutes, k? This one is a classic. (We use it as homework before our workshops). It’s the perfect starting place because it helps you not just churn out random detached jokey-jokes that anyone could write, but jokes that could come only from you. Round 2: If you haven’t already, go back and add “because…”. Extra credit: Switch them up. Move the things you love to things you hate, and so on. Be sure to add the “because.” See how sarcasm serves you. Extra-extra credit: Pick one prompt. Write as many short answers as you can. The results could become a list joke. This one’s from Elsa Waithe. Pick a topic or even a small item—anything from “being a twin” to “gum”—(pro tip: use something you wrote about above). Get some blank paper (or a blank screen), a pen (if applicable), a timer, and GO. Write down everything you can think of about that thing, for 15 minutes, without stopping. EVERYTHING. Every damn thing. Don’t try to be funny. The results will be roughly 80% filler or nonsense. But without that, you won’t get to the 20% potential gold: weird stuff you forgot about, words that are just funny (“Bazooka”). This one’s a great one to do when you’re just plain stuck. It’s also good practice for letting your mind roam and explore all the possible shapes a joke can take or directions it can go in. This one’s inspired by Kerri Louise. Pick a short personal anecdote you like to tell or—extra credit—an anecdote that came out of one of the above two exercises. Write/type it out on one page (about 250 words double-spaced). Now write the same story in 100 words. Now write the same story in 50 words. Now write the same story in 140 characters. WHAT? Yes. Rookie comics almost always use too much setup. This helps you pare that part down, for one thing, showing you exactly how little context, premise, and information you need to get the audience on the same page as you. It helps you literally choose your words carefully. Shorter words are generally stronger, so you’ll thesaurus your way down to those with the most punch. It forces you to identify the ONE CORE IDEA that makes this thing funny. Advanced move: Many comics try out their jokes on Twitter. Get good at this, and that could be a great testing ground for you, too. Example: [Wily politician or powerful person of choice] lies and no one punishes him. If my mother found out I lied about something like that [she would/I would]…”. Write 10 of these a day. Don’t try to be funny. Let them be funny when it happens, which it will about 1 percent of the time. The practice is what matters. As you do it more and more, you’ll see the funny and make associations faster, and your percentage will go up. Exploring what’s funny TO YOU about the news AND about your life at the same time. Keeping up with current events! When you did one of these exercises, did something crack you up? Doesn’t have to be a fully-formed joke. An embarrassing moment, or just a funny word? Tweet it @GOLDcomdy and let us know! OR… sign up for emails to spin what you’ve learned here into more GOLD!